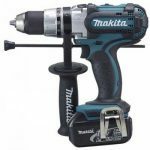 ​ If you’re weaving through the endless cordless drill reviews, then read on.. What you won’t find on this site are reviews on cheap drills. Lousy under-performing tools aren’t worth the aggravation and don’t belong in anyone’s tool-shed. Wanna buy a cheap cordless drill that will make anyone want to jump off a cliff? check out this piece of crap –the Worksite cordless drill – it’s guaranteed to piss someone off! It doesn’t have to be expensive to be the best drill! See Our . that has a 4.8 out of 5 stars rating and nearly 400 customer testimonials. 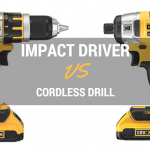 What Type of Cordless Drill is Best for You? 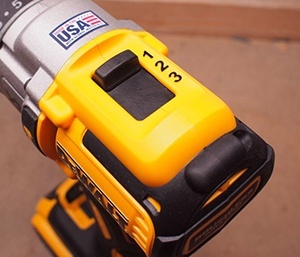 This is the most commonly found power tool in any workshop, garage, or construction site. It’s one of the first power tools a woodworker should own. It has enough strength to drill and drive screws into thick planks of wood. It is the quintessential tool for those who enjoy projects around the home. The impact drill does all the same things the drill driver can do (with the exception of using it with a hole saw). The difference is an impact drill is much more powerful. It’s most utilized for when the job calls for more torque like when using lag screws. The screw gun is used when you need to drive a high volume of screws. The installation of wood decking and fencing, or drywall and is the perfect job for a screw gun. It has a few unique features that make it better suited to high volume and repetitive work. Screw guns feature screws auto-feeds and automatic counter sink adjustments. This is a convenient little power tool for screwing and unscrewing screws of all sizes. It does not have enough power to drive a screw into a material that is not pre-drilled. 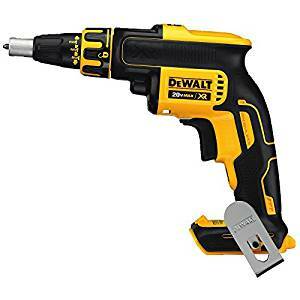 It is simply a motorized screwdriver, used in the same applications as a manual screwdriver and is a pretty darn useful tool. The tool is named for its dual action. The hammer driver hammers at the same time it drills. This is designed to drive a screw into extremely hard surfaces like concrete, pavement, and brick. Several hammer drills allow you to switch between hammer and chisel mode. A right angle drill is just a drill driver with a 90 degree bend at the neck. It is designed for using in small spaces. It is perfect for plumbers, cabinet makers, and contractors who renovate around existing construction. It is not uncommon for these drills to feature a compact design making them even more suited to close quarters. 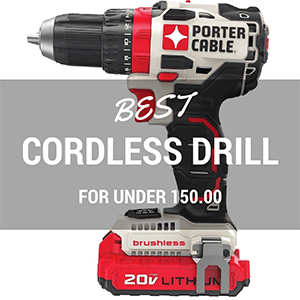 We’ve compiled a list of top-rated cordless drill driver brands from each category to make the buying process easier for you. So take a seat, grab a coffee (or beer) and enjoy the countless hours of research and hands-on tests we’ve done and feel free to email us with any questions you have. Drill is very lightweight weighing just a touch over eight pounds with the battery pack in place. The battery doesn’t hold a charge for very long – this is a common theme across all online reviews and why we suggest you own two batteries. Q: Does the drill always stay in hammer mode? A: No. You can change the mode between drill, hammer, or drive. Q: Does the chuck have a tendency to wiggle loose after using the hammer drill? A: The chuck is a ratcheting chuck so it stays tight. Remember that it is keyless, so be sure to tighten sufficiently before using the tool. Q: Is this model sold as a bare tool? A: This is a kit that includes two batteries, a charger, and the carrying case. 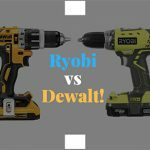 Q: Is this the new version of the DeWALT DCD795D2? A: Yes, it is the newest version. 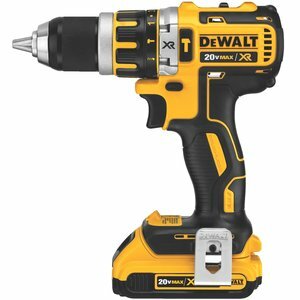 This is the best drill for home use that does all that it claims to do. It goes through concrete and masonry with ease. It is a very lightweight hammer drill making it an easy hammer drill to wield. It has nice user features like the multi-speed and multi-mode transmission. The LED light is super bright and helpful in dark spaces. There are few complaints to be had about this power tool. The quality of the tool far exceeds the price. Four speed motor covers all the sizes of screws you might use. 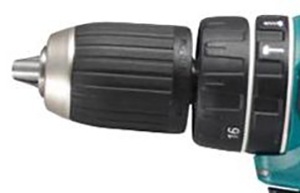 It is a compact impact drill that fits easily into small spaces. It does take some time to get replacement parts, but other than that, nothing really worth mentioning. 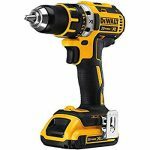 Q: Is this impact driver suitable for automotive work? A: This is not an impact wrench it is an impact driver. A driver lacks the torque needed for automotive applications. Q: Is this Makita cordless impact driver made in Japan? A: Yes this Makita is made in Japan. 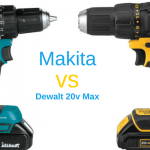 Q: What is the difference between the XDT12Z and the XDT12T Makita models? A: The XDT12Z is the bare tool with no batteries. The XDT12T is the kit that comes with the batteries. This is not an inexpensive impact driver. However, the price is made up in all the modes and speeds. The assist and tightening modes are a nice addition that you do not find a lot. It is extremely helpful especially for those that lack experience using an impact driver. 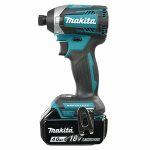 This model packs tons of torque, particularly for a cordless impact driver. 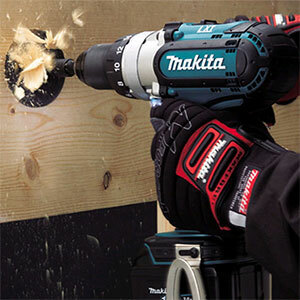 It’s the perfect update to the Makita model that was released in 2009. This cordless screw gun has 4,400 rpm brushless motor. It has a three year limited warranty, one year of free service, and a 90 money back guarantee. The DeWALT built motor ensures the maximum amount of runtime. The DeWALT features and ergonomic design that gives it more balance than the corded models. The lock-on nose cone locks securely yet removes easily. It has an attachment for you to add a collated magazine. This is a specialty tool geared towards those that are drywallers – it’s pretty much a useless drill outside of installing sheetrock. Q: Is it possible to use an 18 volt battery with this screw gun? A: No it is not. Not only is it the incorrect voltage, but the 18 volt battery is designed differently and will not fit into the screw gun. Q: Does it come with the collated magazine? A: No, this is a bare tool. It does not come with batteries, collated magazine, or case. Q: Does the gun stop when there is no more pressure on the bit? A: Yes, there is an auto-stop function. It is actually designed to stop when there is pressure on the collar. This screw gun is perfect for those that want to do some projects around their home. It is not suited to contractor level usage. The direction switch location is the biggest problem on this model. It is easy to bump and switch directions especially when using the magazine. It is a nice and quiet tool making it even more suited for do it yourself house projects. It is a lightweight unit, but unfortunately that comes at the price of some inexpensive feeling plastic parts. It’s perfect for smaller screws and electronic applications, cabinetry, etc. There really isn’t much to not like about this screwdriver and nothing really worth noting. Q: Are there bits that are included in this Hitachi cordless screwdriver kit? A: No. You will have to purchase the bits separately. Q: Does the Hitachi cordless screwdriver come with a battery? A: Yes. This is a kit and this Hitachi model comes with two lithium-ion batteries. Q: Is there a lock on the hinge of the dual position handle? A: There is not a lock on the hinge of the dual position handle. 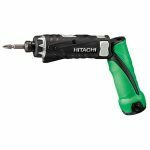 This Hitachi screwdriver is perfectly suited for lightweight jobs that do not require a lot of torque. It is not suited for jobs that require more torque and it will limit the life of the tool. It comes with a really nice lifetime warranty and two-year battery warranty. The battery holds a charge for a long time. If you have moderate expectations for the tool, or if you use it for low torque applications, it will not disappoint you. 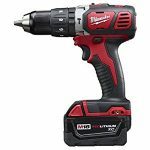 What I really love about this cordless screwdriver, is the fact I can get it into tight places and adjust the angle to whatever I need to adjust — It’s great for cabinetry work, etc. The auxiliary handle gives you the maximum amount of control. There isn’t too many complaints that I could find. Q: Is auxiliary handle removable? A: It is possible to remove the auxiliary handle.Q: Does it come a chisel option? A: It does come with a chiseling feature – most all do.Q: Is it compatible with other M18 batteries? A: It is compatible with M18 batteries. This is a powerful hammer driver and drill driver. It has loads of torque and can handle the hardest of materials. It is a highly portable model being so compact, lightweight, and cordless. It is just as effective in both modes making it a super versatile tool suitable for a ton of applications. The ergonomic design makes it a well balanced tool to handle. It’s a super compact model that works perfect in very tight spaces. There’s no high or low speed settings. However, the speed is controlled by the trigger pressure that might take some getting used to. 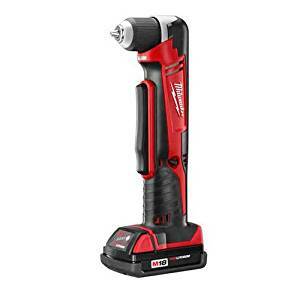 Q: Is there a case in this Milwaukee cordless right angle drill kit? A: Yes, it does come with a carrying bag in the kit. Q: Is it possible to use this model with Fuel batteries? 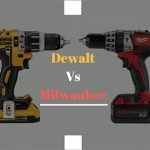 A: Yes, you can use the Milwaukee right angle drill with Fuel batteries. Q: How many batteries are included in the kit? A: There is only one battery included in the kit. Responses from users can range greatly with this tool. While it is a suitable tool for the price, it has tendencies to have troubles with smaller holes. It has a great battery life and the fact that it comes with a dual voltage charger is a nice addition. Another nice addition is the ability to use an XC extended battery. This has even more life than the already long lasting batteries. Be cautious of the extra thick grip as it can be uncomfortable for some. Cordless drill reviews: The only buyer’s guide You need. From fine woodworking to heavy-duty constructions, power drills can make just about any task much easier. The fact that they can be adapted to most tasks (using bits) also makes them highly versatile, something that has only improved with the advent of a cordless drill. 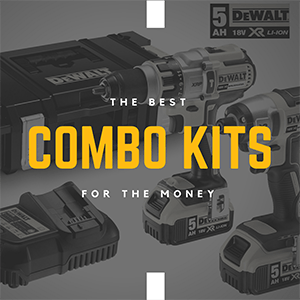 It’s safe to say that these are an absolute must-have for any toolbox, which means you’ll be looking forward to purchasing one if you haven’t already done so. Since these tools come in many different varieties, it’s very important that you know what to consider when reading various reviews. In both brushed and brushless motors, magnets are what produce the rotary motion of the shaft. The means of power delivery is what sets apart these two types, with the former utilizing carbon brushes for this task. The latter make use of internal circuitry to create a revolving magnetic field, which effectively eliminates the need for brushes. 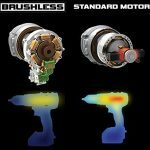 Mode of operation aside, the most important point to note is that brushless motors are more efficient and more powerful than their brushed counterparts. Drills that rely on these motors also tend to produce less friction and heat when in use. Still, drills with brushed motors are usually cheaper, which is something you’ll want to consider if you’ll be using yours for minimally-intensive tasks. Read our in-depth article on Brushed vs Brushless – to understand why it’s important to buy brushless drills. Short for rotations per minute, the RPM figure is what indicates the maximum speed achievable by a particular drill. Most low-end models provide at least 2 options here (usually 300 rpm and 800 rpm) plus a slide switch to allow users select low or high speed. These are best suited for light-duty tasks, but torque must also be taken into account when comparing speeds. Torque refers to the rotary turning force of the device. Basically, the more torque a drill has, the better its ability to drill into hard surfaces. Choose low speed drills if this is what you have in mind, or those on the higher side of the RPM scale if you’ll mostly be boring holes. Also known as torque selector, this feature minimizes the likelihood of overdriving or snapping screws. More specifically, the clutch is what disengages the drive shaft when a certain level of resistance is attained. While most cordless drills have an adjustable clutch, the number of settings available varies across models. Experts recommend choosing a device with a wide range so you can fine-tune the drill’s operation. Popular opinion dictates that a decent device should have at least 24 clutch settings. Although you won’t need such a diverse range for basic tasks, it will make it easier to tailor the drill to the material(s) you’ll be working with. This is the part of the device that holds the rotating bit in place. A good chuck should hold the bit securely without any wobble, but it’s also important to check the size before purchasing. Unless you’ll mostly be drilling small holes, look for a 13mm chuck that will be able to hold larger bits. This would especially be crucial if you’re likely to take on heavy-duty projects in future. Also remember to check out keyless chucks — these have metal prongs to allow users loosen and tighten them easily without having to use keys. The fact that they can hold most bits also makes them ideal for general-purpose drilling. 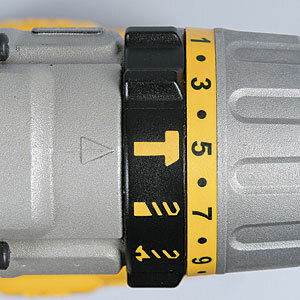 Another design that makes it easier to change bits is the hex chuck. Although they only work with hexagonal bits, hex chucks are well-suited for drilling hard materials and less likely to slip. A cordless tool is only as good as its battery. In other words, the reliability of your power source can make the difference between a good day’s work and having your drill run out of juice when you need it the most. It’s thus crucial that you invest in a battery that will be able to hold its charge for long enough, besides generating power at high levels of efficiency. Drills with such batteries will always carry a higher price, but they weigh less and run longer on a single charge than devices relying on older power sources. Speaking of which, most old-school chargers can take up to 5 hours to fully recharge a battery, while their modern ‘smart’ counterparts will only take an hour at most. You’ll also want your drill to have a battery gauge so you always know how much power you have remaining as you work. Before heading out shopping, take time to think about where the tool will be used more often. For woodworking, the smaller models (specifically those in the 12V range) will be well-suited for most tasks. Only go for larger drills (18-20V) if you’ll be boring large holes or using a hole saw. If you work with metal, try to go for as much power as you can afford. Keep in mind that most models are only capable of drilling light metal, which means you might have to look for something better suited for heavier applications. If you’re a mason, what you should be looking for is a cordless hammer drill. 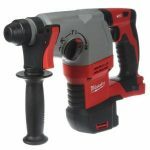 Thanks to its high-speed hammering action, a tool in this category will comfortably be able to bore through concrete and stone. What’s the Difference between NiCad & Lithium Batteries? These two represent the most popular battery choices on the market today, the older of wich is the nickel cadmium (NiCad) variety. Besides being relatively inexpensive, NiCad batteries are also quite durable, with some having the ability to withstand 1000 charge cycles. However, their poor energy density means these batteries have to be recharged often. In addition, there has been a number of concerns with regards to the toxic chemicals commonly used in the manufacture of these products. 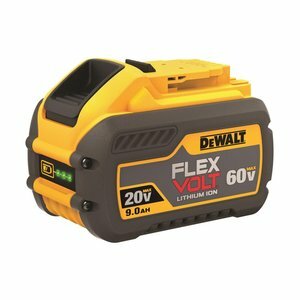 This is perhaps the reason why lithium-ion (Li-ion) batteries have emerged as an alternative power source for cordless tools. Compared to NiCad batteries, these are made using lighter materials and have twice the energy density. The latter makes them excel at delivering high-range power over a single charge. All these benefits come at a price, which means you’ll have to part with more when purchasing drills with Li-ion batteries. Which Drill Voltage Should I choose? 12V, 18V, 20V, 36V? Generally speaking, the higher the voltage of a power tool, the more the torque it produces and, as a result, the more you’ll have to pay for it. While most power tools have voltages falling between 3V and 48V, cordless drills shrink this range to 12-36V. On most models, the voltage will be indicated by a figure printed on the side of its battery. As for your choice of voltage, this will ultimately depend on the kind of projects you take on. For light tasks, consider buying a low-voltage model, which would be the 12V in this case. 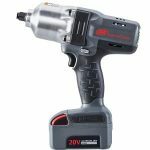 Opt for an 18- or 20-volt drill if you’ll be tackling some heavy-duty tasks, or even a 36V tool if you need to drill large holes quickly or drive huge fasteners. It’s also worth noting that voltage also affects weight, so expect high-voltage tools to weigh more. What Does The “ah” Mean in Cordless Batteries?? ‘Ah’ is short for ampere hours, and is used to indicate the capacity of a particular battery. A high-capacity battery will generally outlast one with a lower Ah rating, but there are a few exceptions. For this reason, make sure you go through our reviews to see where a particular model falls in battery performance tests. Also keep in mind that high-capacity batteries will always be heavier than their smaller counterparts. As such, you’ll have to take portability into account when figuring out how long you want your battery to last between charges. A battery with a high Ah rating will also take longer to charge. Depending on the application(s) you have in mind, look for something that balances all these elements, of course taking your budget into consideration as well. What does Variable Trigger Speed Mean? Basically, a variable speed trigger is a switch that allows you to select different speeds depending on the task at hand. On most models, this feature is made possible using a range of gears. While drills with variable speed settings generally offer more versatility, it’s important to choose one that offers great control at all speeds. In other words, your drill should be easy to operate and provide sufficient variable control. For more delicate tasks, opt for a model that has a 2-speed switch as well as a trigger with variable control. This way, you’ll be able to vary the speed from barely rotating to the top of each range. Whether you’re a hobbyist or professional craftsman, rest assured that there’s a drill on the market that’s just right for you. As you shop, be sure to consider what you’ll be using the tool for, the materials you frequently work with, as well as any challenges you might encounter when tackling a project. Keep in mind that price doesn’t always go hand-in-hand with quality and performance, so try to compare as many drills as you can so that you can find the best cordless drill for under 150, 100, 75 and 50.00 to suit your needs. 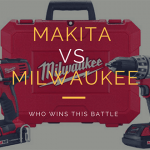 Makita Vs Milwaukee Cordless Drill – Who Comes Out on Top? 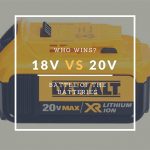 20V Max Vs 18V Batteries, Which Is More Powerful?